Photo by Aocrone via creative commons. 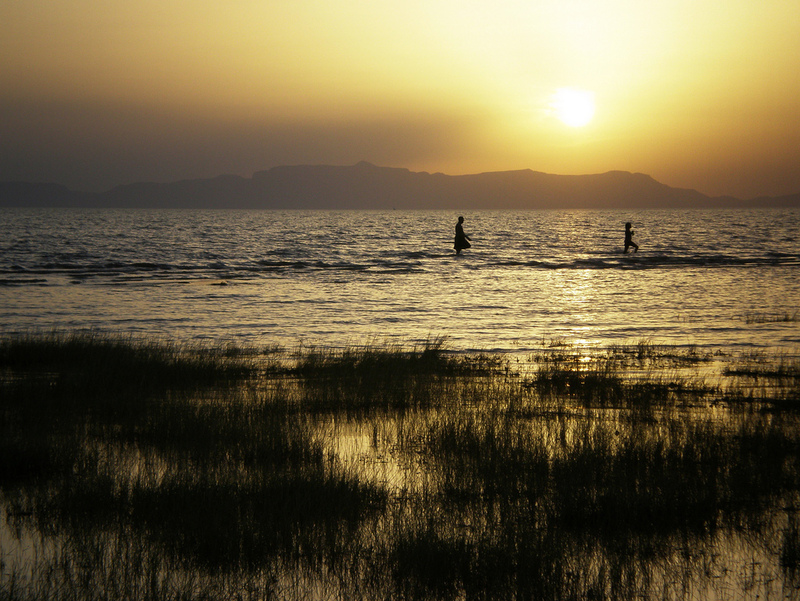 In a small village along the waters of Lake Turkana in northwestern Kenya, two fishermen were murdered last month as they were putting out their nets. A cascade of retaliatory violence between the Kenyan Turkana and Ethiopian Daasanach (sometimes called Merille) has led to the deaths of at least four Ethiopians and 20 Kenyans ethnic groups, though some Kenyan government officials place the toll as high as 69, according to the Kenya-based Daily Nation. Though the fighting has been localized, it has put pressure on both nations to deal with strife between nomadic groups who are competing for diminishing resources. Both groups are traditionally pastoral nomads living within the Elemi Triangle—a once disputed area between Kenya, Sudan, and Ethiopia—which has dry pastureland, historically used by both the Turkana and the Daasanach, as well as the Didinga, Toposa, and Inyangatom (also called the Dong’iro) communities. The Turkana live in northwestern Kenya, making up 2.5 percent of the national population, or close to a million people, according to the 2009 Kenyan census. The Daasanach primarily reside in southern Ethiopia and make up less than 1 percent of the national population, or around 50,000. More recently, the Daasanach have lost significant portions of their lands and animals—in part due to climate change—and have become more agropastoral in nature. Citing Joseph Nanok, Kenya’s forestry assistant minister, the Daily Nation reported that the traditional border between the Turkana and Daasanach people was located at the Omo River Delta, which flows into Kenya’s Lake Turkana from Ethiopia. This border, however, has been moving south due to receding waters. According to The Christian Science Monitor, the Daasanach have begun increasingly cultivating the land and fishing the waters of the River Omo-Lake Turkana Delta, where they compete with the Kenyan Turkana people for both land and water resources. Thus, not surprisingly, the recent attacks coincide with the settlement of an estimated 900 armed militia and 2,500 Ethiopian civilians on Kenyan territory around Lake Turkana. The Kenyan government has made claims that these illegal immigrants have taken control of 10 Kenyan villages and has vowed to send them back to Ethiopia, according to the Daily Nation. Though this appears to be a territorial dispute, it can be, at least partially, attributed to the sharing of stressed water resources. The rate of change within a water basin. Scarcity, economic growth, and population growth can all affect the availability of water resources. It is also important to define a conflict, since people’s interests frequently conflict, while violence is much more rare, Wolf added. However, Wolf stressed that, although water can be a source for tension, it can also be the catalyst for creative, peaceful solutions. For more information on water conflicts across the globe, see the Pacific Institute’s Water Conflict Chronology database.